Lunagirl Moonbeams by Lunagirl Vintage Images: Alice in Wonderland Blog Challenge! I love Alice in Wonderland, and I bet you do, too. 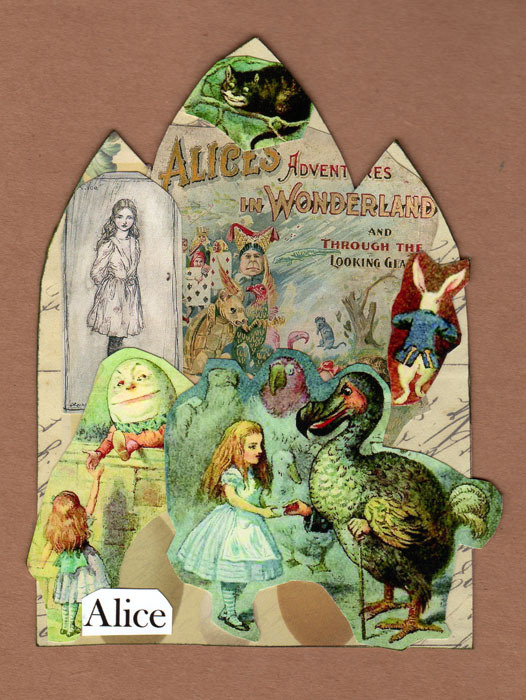 I've collected quite a few antique Alice books and illustrations over the years, and used them to create a still-growing collection of Alice in Wonderland digital collage sheets! I hope you'll join in my Alice blog challenge. This challenge (#8) will end at 11:55 pm on August 25 ~ The winner will be selected randomly (random number generator) to win two free Lunagirl digital collage sheets of your choice! Of course I love if you use at least one Lunagirl product, but that's not a requirement! Most important is have fun, get creative, enjoy vintage. 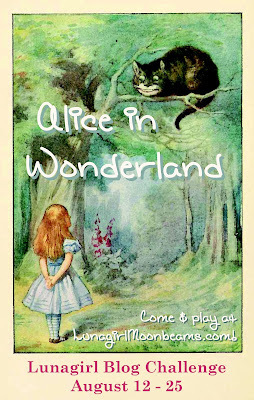 For your convenience, all of my Alice in Wonderland collage sheets will be ON SALE for the duration of this challenge. below are some beautiful creations by the Lunagirl Moonbeams Design Team! By Petra Berendsen, a little tag with Mr Rabbit. Isn't he handsome in his robe with glittery heart? He certainly has to be the focal point of any project. 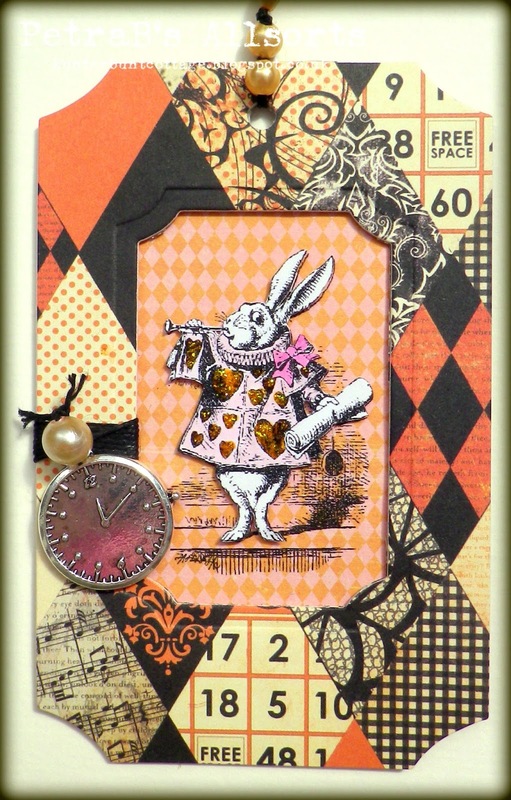 I coloured Mr Rabbit (from Lunagirl Moonbeams Alice Collage Sheet) with colouring pencils and some Stickles for his hearts and combined him with patterend paper, a clock charm and some pearls. 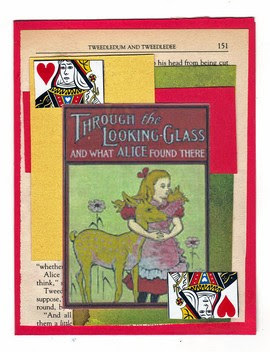 The mat of my card is actually a page from an old paperback book of Alice in Wonderland. I made some color blocking behind the Lunagirl image with scraps of cardstock from my stash and finished off the card with parts of the Queen of Hearts playing card. this week i chose to make a gothic arch with a collage of several images from the watercolor alice and alice book covers collage sheets. love alice! ooohhh one of my fave themes! mine too! I'll be entering! Fabulous dt samples! Great design team samples. I love creating for Alice in Wonderland! Thanks for the great challenge and chance to win a voucher for your store! Look at the gorgeous colours of these submissions! Magical challenge, thank you!